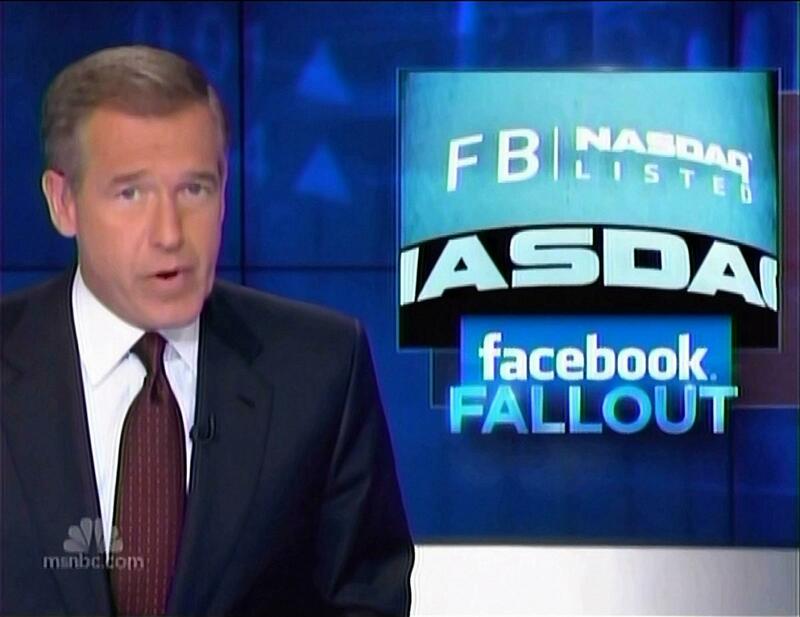 Opening the broadcast, Williams proclaimed: "The Initial Public Offering of Facebook stock got a lot of attention. It was breathlessly hyped and while it did make some people rich, it was also botched from the start." What Williams failed to mention was that he helped create that "hype." On the May 15 Nightly News, Williams enticed viewers as he touted predictions of how much Facebook could soon be worth: "They are about to sell stock in an initial public offering. That means the value of the company may well be set at $100 billion, making it more valuable than Disney, Kraft Foods and Ford Motor Company, to name a few." During Wednesday's report, correspondent Tom Costello explained: "Now allegations from journalists and investors that Morgan Stanley, the IPO's lead bank, may have informed only its most valuable clients that it had a negative view of Facebook's growth prospects, leaving average investors in the dark." That was followed by a sound bite of CNBC Mad Money host Jim Cramer demanding: "If the allegations are true, then the SEC has to come in to Morgan Stanley and demand the heads of everybody who has involved with this deal." In another sound bite, Max Wolff of Greencrest Capital Management lamented: "It looks pretty clear that main street believes Wall Street is a place that's low on scruples and high on get-rich-quick schemes that are often at the expense of the mom and pop investor." The hand-wringing about Wall Street continued on Thursday's NBC Today, as co-host Ann Curry teased: "New fallout. Congress gets involved in the investigation of Facebook's troubled IPO as new lawsuits are filed." In another report by Costello, Wolff argued: "Wall Street still hasn't figured out that they have to re-win the confidence and faith of the public. And everything like this episode of the Facebook IPO sets that back, makes it harder, and really begins to rouse suspicion and anger in a time when it cannot be afforded by the industry." CNBC's Bob Pisani followed: "It's another black eye for Wall Street and another disappointment for the average investor." Co-host Matt Lauer discussed the topic with Business Insider editor Henry Blodget and NBC News legal analyst Savannah Guthrie. To Gutrhie, Lauer wondered: "I mentioned Congress getting involved. Can they just – can they do more than make it uncomfortable for these big banks? Do they have legal teeth here?" Guthrie replied: "They can subpoena documents. They can certainly regulate. There's a potential of an SEC enforcement action." Lauer observed: "...one of the reasons so many people got so excited about this, they like investing in products that they use. And 900 million registered users of Facebook, a lot of those people said this is a great idea." However, like Williams, Lauer conveniently ignored Today's hyping of the stock. On May 17, Lauer announced: "Facebook founder Mark Zuckerberg isn't the only person set to profit from tomorrow's Initial Public Offering. Hundreds more, including some rank-and-file employees, are primed to become rich as well." Correspondent Ron Mott followed: "Hitting the lottery is not the only way to become a millionaire overnight. Another way is to join a start-up company like Facebook, get in on the ground floor and then just wait for it to hit the big time, which it obviously has....Hundreds of the company's employees are estimated to see their net worth explode into the tens of millions of dollars on Friday." Like the Facebook flop, NBC used recent losses at JPMorgan Chase to push the Democratic agenda of expanding government regulation of the private sector. 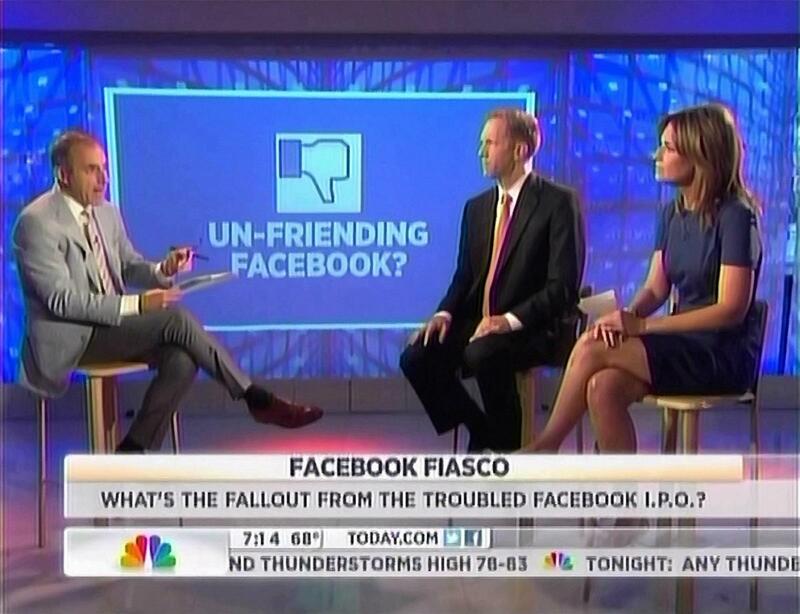 BRIAN WILLIAMS: The Facebook fiasco. More troubling questions tonight about Facebook's debut on Wall Street. Were new share holders kept in the dark? WILLIAMS: It's only been a public company since Friday and yet tonight, the headlines surrounding Facebook are along the lines of, what went wrong? The IPO, the Initial Public Offering of Facebook stock got a lot of attention. It was breathlessly hyped and while it did make some people rich, it was also botched from the start. And now some shareholders and remember, there have only been shareholders for four trading days, are suing this newly public company because some have learned that some folks had inside information prior to the sale, and many people now feel a bit hung out to dry by a 28-year-old billionaire and the sprawling social media company he runs. It's where we begin our coverage tonight with NBC's Tom Costello. TOM COSTELLO: What happened to Facebook, the most anticipated initial public offering or IPO in years? MELISSA LEE [CO-HOST, CNBC'S SQUAWK ON THE STREET]: The odds are stacked against you. And if you're not an insider on Wall Street, you are going to be left in the cold, holding the bag. And that's exactly what happened here. COSTELLO: It's been the talk on Wall Street. First, an embarrassing NASDAQ technical glitch that delayed the IPO, then the stock's performance. Opening at $38, popping to $45, and then plunging to $31. Today, closing at $32. All the while, mass confusion as many investors were unable to confirm trades, buy or sell the stock. Now allegations from journalists and investors that Morgan Stanley, the IPO's lead bank, may have informed only its most valuable clients that it had a negative view of Facebook's growth prospects, leaving average investors in the dark. JIM CRAMER: If the allegations are true, then the SEC has to come in to Morgan Stanley and demand the heads of everybody who has involved with this deal. COSTELLO: Morgan Stanley insists it "followed the same procedures for the Facebook offering that it follows for all IPOs." Already though, the lawsuits are mounting. Facebook says the suits are "without merit and will defend ourselves vigorously." Today, the Senate Banking Committee began asking questions as Massachusetts subpoenaed Morgan Stanley's internal documents, all of it, further undermining faith in Wall Street. MAX WOLFF [GREENCREST CAPITAL MANAGEMENT]: It looks pretty clear that main street believes Wall Street is a place that's low on scruples and high on get-rich-quick schemes that are often at the expense of the mom and pop investor. COSTELLO: All of this as Congress considers tougher oversight of the financial sector. Something Wall Street has been lobbying hard to avoid. Tom Costello, NBC News, Washington. 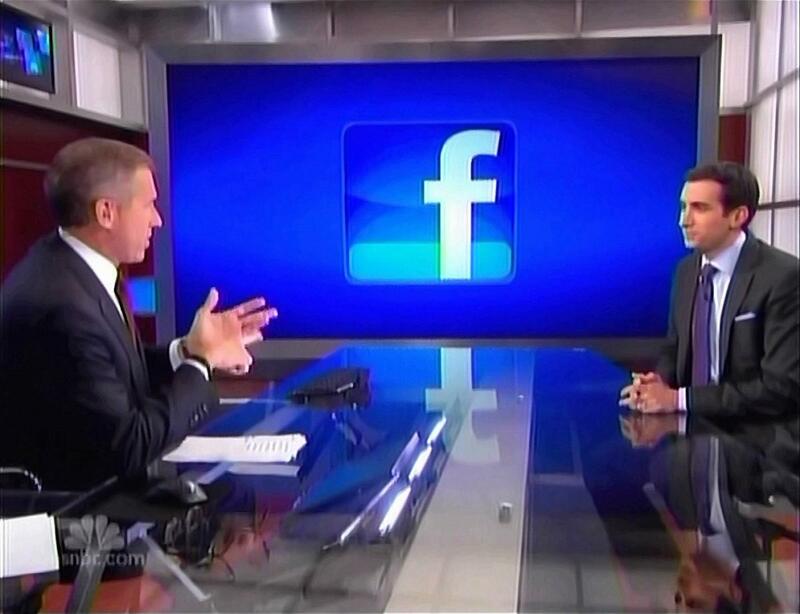 WILLIAMS: Let's talk about this a bit more with Andrew Ross Sorkin, New York Times journalist, author of the book Too Big to Fail, and co-anchor, of course, of CNBC's Squawk Box. He's with us here in the studio tonight. So, correct me if I'm wrong. Is this a case of the rich get richer, another advantage to the 1%, mitigated, or aggravated perhaps, by the fact the stock is down from where it came out? ANDREW ROSS SORKIN: Boy does it feel that way, Brian. This is that and probably a lot more. And it couldn't come at a worse time given the enormous distrust that the public has of Wall Street. And it goes to this sense of fairness. This is the ultimate 1% versus 99% all over again. This idea that the playing field is not level, that certain people, certain investors, are getting access to information and the other guys, main street, isn't getting the same information. And who's holding the bag? It's the greater fool theory. In an IPO, somebody's buying and somebody's selling. But in this case, the public is the one that's the buyer. And in that case, maybe they were the fool in this case. WILLIAMS: And in the meantime, the stock price is down. SORKIN: Exactly. And that's the toughest part about it. WILLIAMS: Andrew Ross Sorkin, as always, thank you for stopping by.